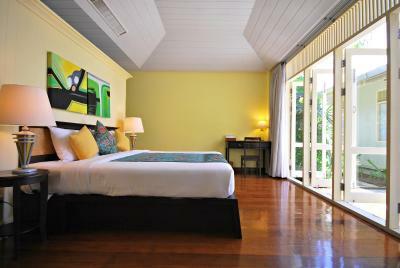 Lock in a great price for Baan Bayan - Hua Hin – rated 8.6 by recent guests! Breakfast whilst not extensive was more than enough. Beach side beds were great, beautifully clean beach to relax on. Bed rooms were very good size, was a lovely touch from staff to decorate the bed with roses on first night. We had a relaxing lovely time. Staying in the Villa with a view and walk out deck was decadent. 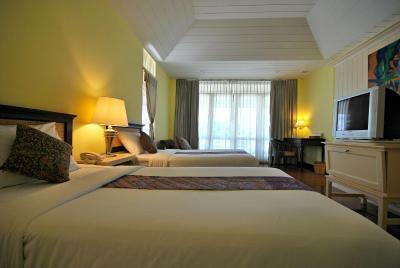 It is large, beautifully appointed with a comfortable bed. Breakfast was delicious. The sunrises are worth waking up for. And staff is hard working and kind. 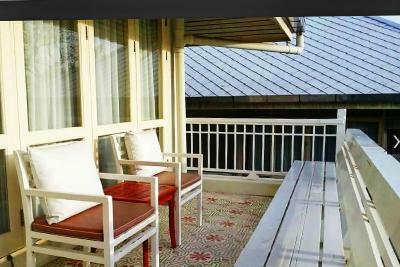 It is especially nice to have the option of sitting around the pool, on beach chairs or on a deck above the ocean. It is 10million times better than being in a big sparkly hotel! Highly recommend. You don’t often get a chance to step back in history and enjoy the life of a beach mansion owner. 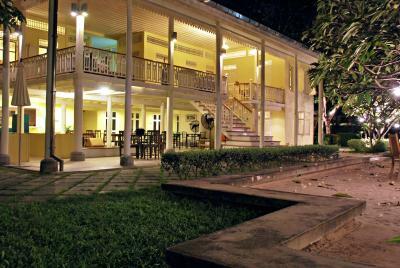 Good for a break out of the city , old house built around 1900 in which we felt good , ideal for relaxing . Small swimming pool but sufficient as small property, not crowded. Close to the beach.. Breakfast simple but good We rented 3 bedrooms at the first floor of the main house and we enjoyed the large terrace in the evening . 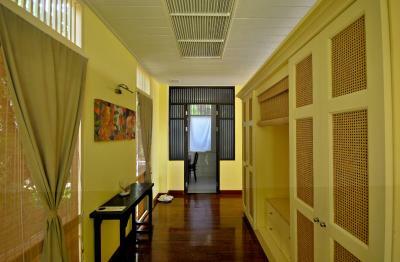 The room is very width and furnitures are made of good wood. The staffs are really nice when we first complaint about the room, they offer the villa one for us but we denied because in the end the sea view in the villa is worst than the one that we booked. The location is great. The hotel separated the bathroom very well. The room is perfectly fine, get all basic needed. (No toothbrush provided but that's fine) The bed is big and comfy. The swimming pool was beautiful. And the drinks at the pool bar was good. Staff were friendly and helpful. Convient wifi, can get on it everywhere in the resort. Very convenient to get to the beach. Breakfast was satisfying. Overall, an awesome resort to relax. The staff there were super friendly. They were always willing to answer any questions. 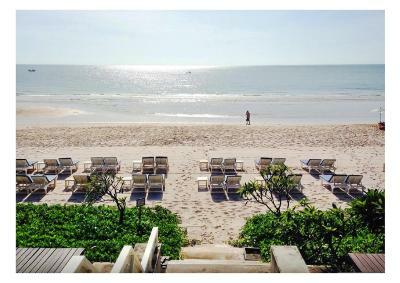 Baan Bayan - Hua Hin This rating is a reflection of how the property compares to the industry standard when it comes to price, facilities and services available. It's based on a self-evaluation by the property. Use this rating to help choose your stay! 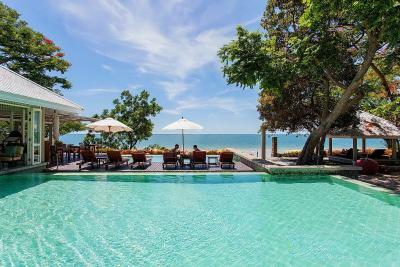 One of our top picks in Hua Hin.Just 1,050 feet from Hua Hin Market Village, the 4-star beachfront Baan Bayan has an outdoor swimming pool with sun loungers. Offering free Wi-Fi and parking, it has a massage room and a restaurant. 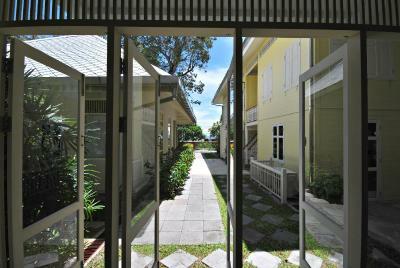 Overlooking the courtyard, garden or sea, air-conditioned rooms are spacious and feature a TV and DVD player. 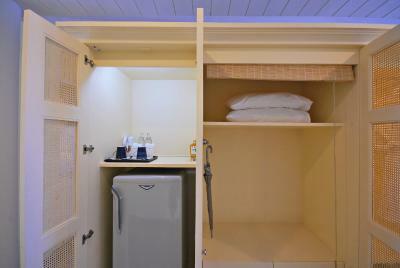 For a quick bite, a mini-bar and tea/coffee making facilities are available in all rooms. 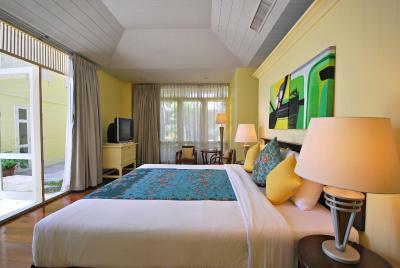 Baan Bayan - Hua Hin is within a 10-minute drive to the golf courses of Hua Hin. 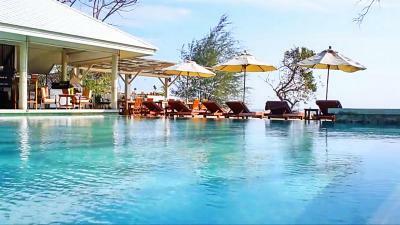 It is about 4.8 mi from Hua Hin Airport. 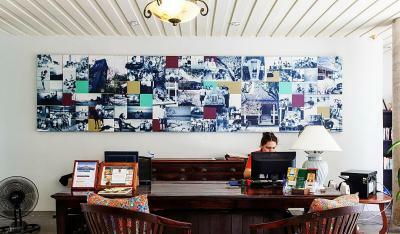 The 24-hour front desk provides helpful services like daily newspapers and car rentals. 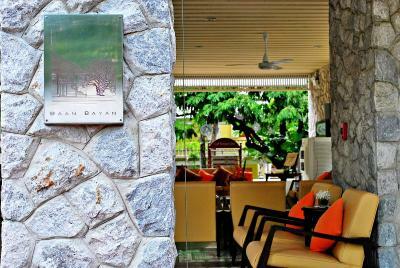 Enjoying views of the Gulf of Thailand, The Cafe Bayan serves authentic Thai cuisine and Western dishes. 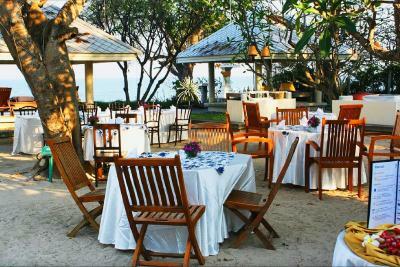 The resort also provides grilled seafood barbecue by the beach, as well as drinks at the open-air Poolside Bar. 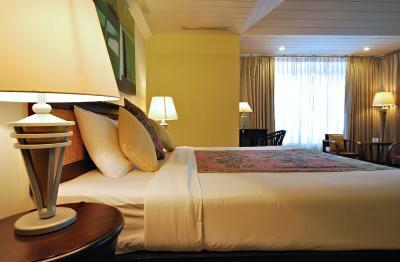 This is our guests' favorite part of Hua Hin, according to independent reviews. 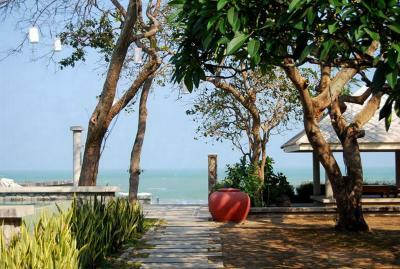 뀐 Located in the top-rated area in Hua Hin, this property has an excellent location score of 9.2! 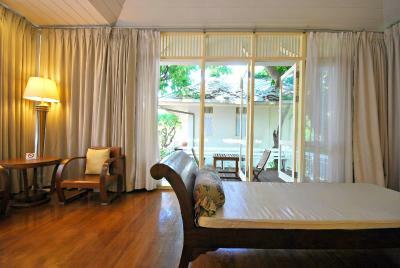 When would you like to stay at Baan Bayan - Hua Hin? 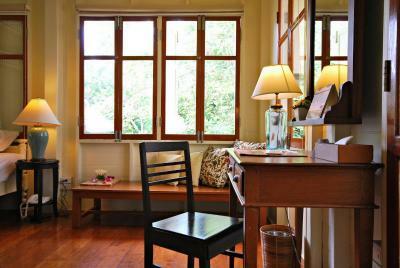 This air-conditioned room features a private balcony, a cable/satellite TV and a DVD player. It also has a safe, a minibar and a tea/coffee maker. 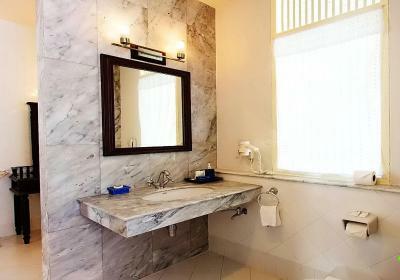 Free toiletries, a hairdryer and a bathtub are included in the private bathroom. 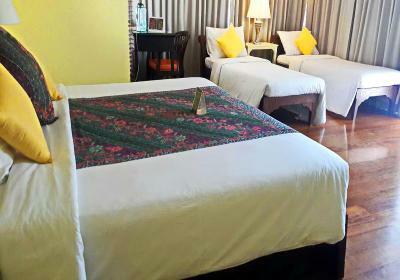 This larger air-conditioned room features a cable/satellite TV and a DVD player. It also has a safe, a minibar and a tea/coffee maker. 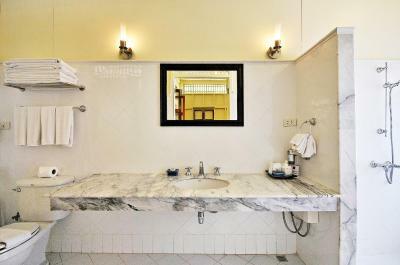 Free toiletries, a hairdryer and a bathtub are included in the private bathroom. 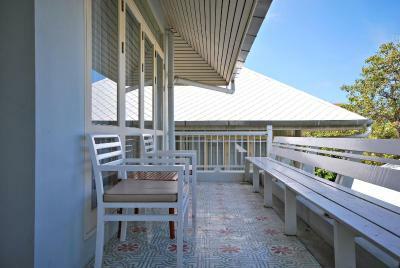 Larger air-conditioned room features with a private balcony overlooking the sea, a cable/satellite TV and a DVD player. It also comes with a safety deposit box, a mini-bar and a tea/coffee maker. 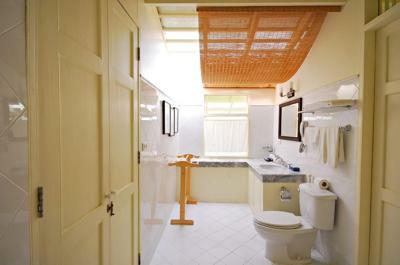 Free toiletries, a hairdryer and a bathtub are included in an private bathroom. 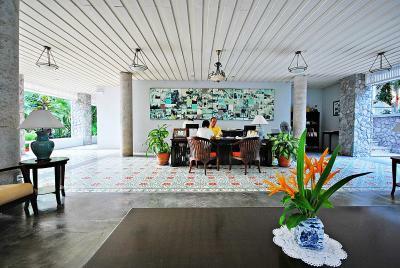 Spacious stand-alone villa with views of the sea. 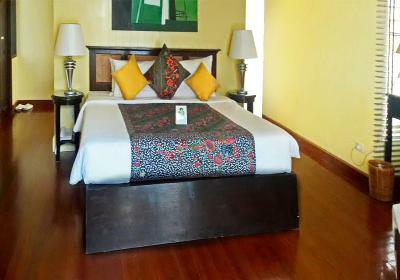 This twin/double room features a satellite TV, air conditioning and CD player. Featuring a spacious terrace with stylish seating set, this suite consists of a cozy tasteful bedroom, a safety deposit box and a private bathroom. 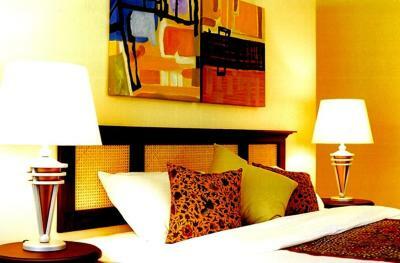 This triple room features a mini-bar, CD player and DVD player. 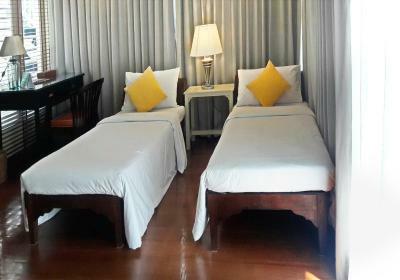 This double room has air conditioning and a mini-bar. This family room has a bathrobe, electric kettle and CD player. 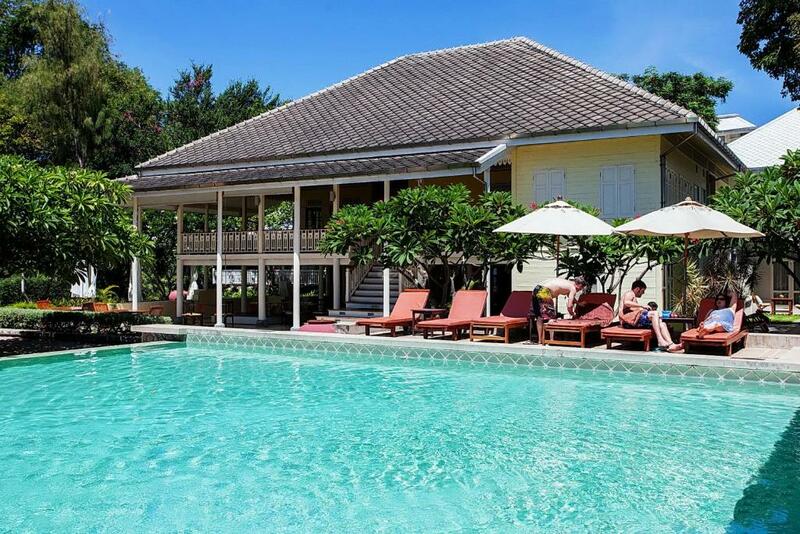 The Baan Bayan is located right on the Hua Hin beachfront and boasts a golden teak house previously owned by royalty over 100 years ago. 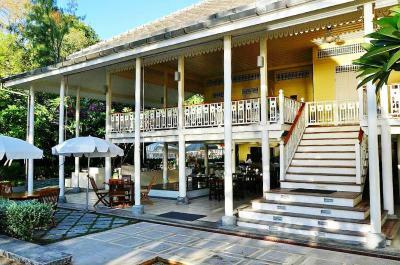 The house was built in the Thai-Colonial style unique to the province of Prachuapkhirikhan or Hua Hin. 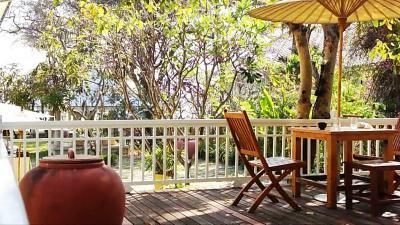 House Rules Baan Bayan - Hua Hin takes special requests – add in the next step! Baan Bayan - Hua Hin accepts these cards and reserves the right to temporarily hold an amount prior to arrival. Please note that the swimming pool and pool bar is close for renovation from 1 May 2019 to 31 May 2019. The hotel will have compensation for the inconvenience. Please contact the property for more information. 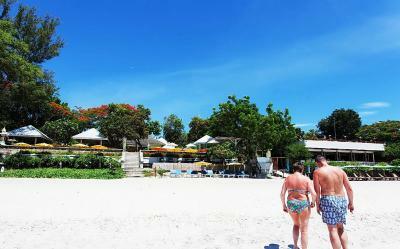 prices for food and drink should match with beach restaurants . A bit tired and needing some TLC especially in pool area and bathrooms. Sunbeds and umbrellas could do with upgrade as it makes property look a bit scruffy, which is a shame. Very relaxing. Great area away from madness of town but close enough to get tuk tuk for 100 baht each way. Comfortable rooms and beds but no need for bath tubs (quite tricky to get in and out of and slippy floor so need to put bath mat down to step onto when getting out of shower over bath). Wet rooms would work very well. Breakfast okay (really nice omelette). No pastries available. Staff friendly. Great to be able to access beach from the property. Plenty of sun beds and umbrellas but need to be replaced. No real disappointments. Apart from breakfast, we didnt eat or drink in the hotel. Shower in bath, difficulty getting in and out. Would suggest removing baths and installing large walk in shower. Pool and decking area requires some attention. Pleasant staff at reception and bar. Egg man very helpful. Good provision of sun beds. Complimentary water and cool drinks very much appreciated. Location is quiet and peaceful and only a short hop to the centre. Breakfast was very good. Bed super comfortable. Restaurant on site is always nice and the food was good. Mini Markt 24/7 , laundry, within 2 -3 min walk from hotel. 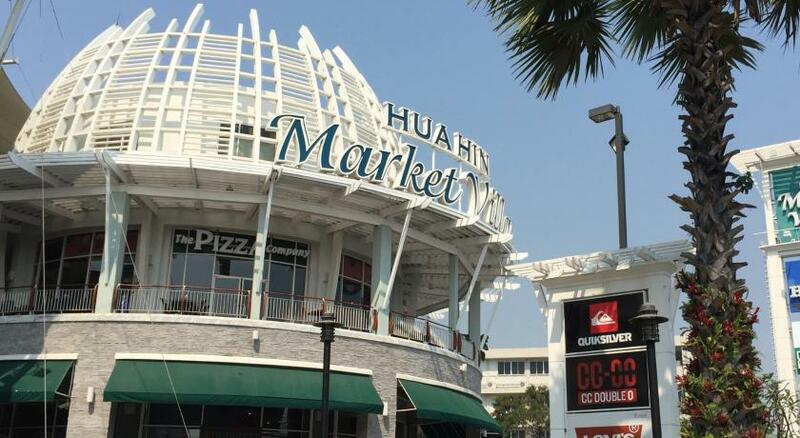 Shopping mall 10min walk. Beaches very clean , if only the jellyfish were not there. Location! On the beach. Walking distance lively area. Rooms clean. Breakfast okay. It isn’t the property‘s issue, but beware of jellyfish. We were there in November, just past jelly season and didn’t have a problem. There were only a few on the beach. But September and October could be a problem. Also, the ocean water is murky, but very warm. and be careful, the shower water is scalding hot. Be sure to turn the hot water off first. Liked everything about this hotel. 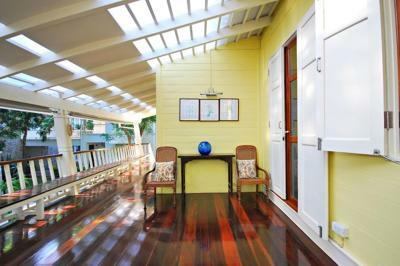 Location and proximity to the beach. A lovely quaint hotel with character. The breakfast had a good selection of food each day. Staff were extremely helpful. The cleaning service could be a bit better, I had to ask the cleaning ladies to come in again to tidy again. The fragrance sprayed in the room is way too strong. 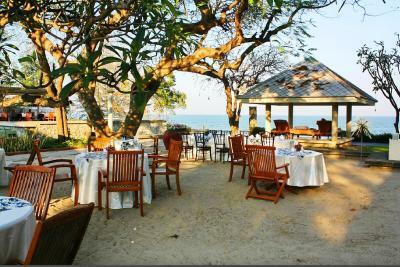 The breakfast is nice, beautiful view around the pool and beach, amazing staff, a very relaxing and quiet place to stay at.